Ms. Michelle Pelersi has more than 5 years of aerospace and defense experience in program management. 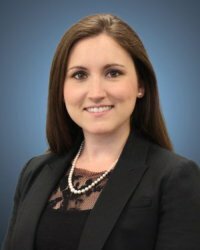 Ms. Pelersi joined the Draper team in December 2016 to help lead the hardware and software design and development of fault tolerant flight computer (FTFC) systems. Draper is a leading expert in FTFC design for human-rated space applications and Guidance, Navigation and Control (GN&C). She is also responsible for managing business development initiatives and leading proposals within the Human Space Exploration business area at Draper. In other key roles, she served as a Program Director, Missile & Space at Textron Systems where she was responsible for leading a team of technical and programmatic staff. She also led the business development activities for new business opportunities within Missiles and Space. Ms. Pelersi began her career as a Materials Engineer working on re-entry heatshield designs. Ms. Pelersi has her Masters of Science in Engineering Management from Tufts University, Gordon Institute and her Bachelor of Science in Materials Engineering from Rensselaer Polytechnic Institute.